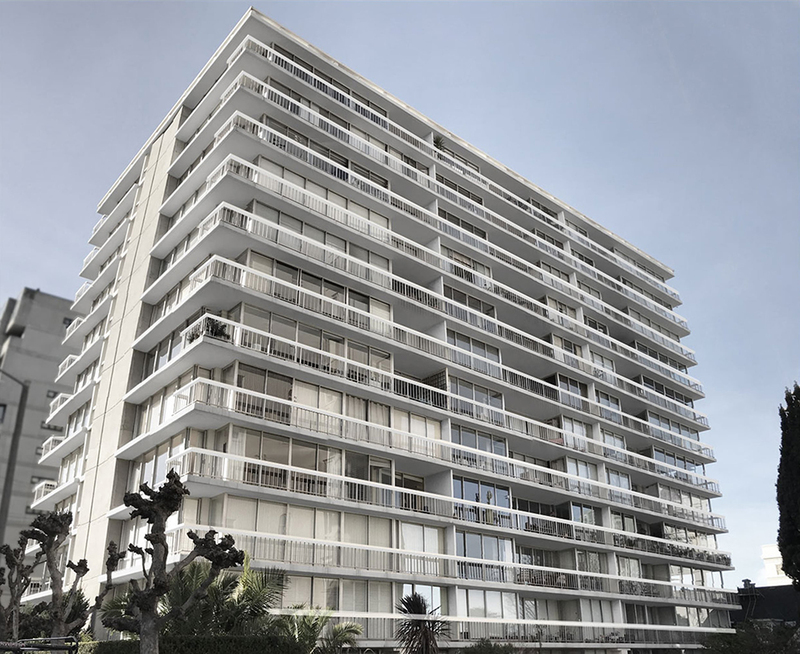 QA was engaged by the Owner’s Board of Broadway Towers to design the first of several phases of renovations to the modern 60’s era residential tower located at the corner of Broadway and Laguna. The first phase, the lobby renovation is currently under construction with the subsequent phases of exploring a new color scheme for all exterior painting and renovating the exterior façade and railings pending. The buildings clean lines, extensive glazing, and iconic views of the Bay and Golden Gate Bridge makes this project an interesting exercise in modernizing the iconic mid-century design.